This is a free 100-page guide on the Qualities of a Transformational Company, the new business leadership standard, which Coro produced for Canadian Business for Social Responsibility. It is designed for companies who recognize the need to scale up their CSR and sustainability efforts to address systemic societal risks, challenges and opportunities. It provides a roadmap for rethinking business models to create shareholder and societal value over the long-term. 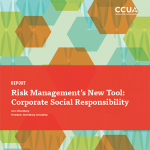 The guide includes how-to tips and tools, the business case, case studies and resources on nineteen best practices in corporate sustainability and social responsibility. It is designed for use in the development of a sustainability or corporate strategy or vision, when fine-tuning an existing strategy, or if inspiration and new thinking is needed. 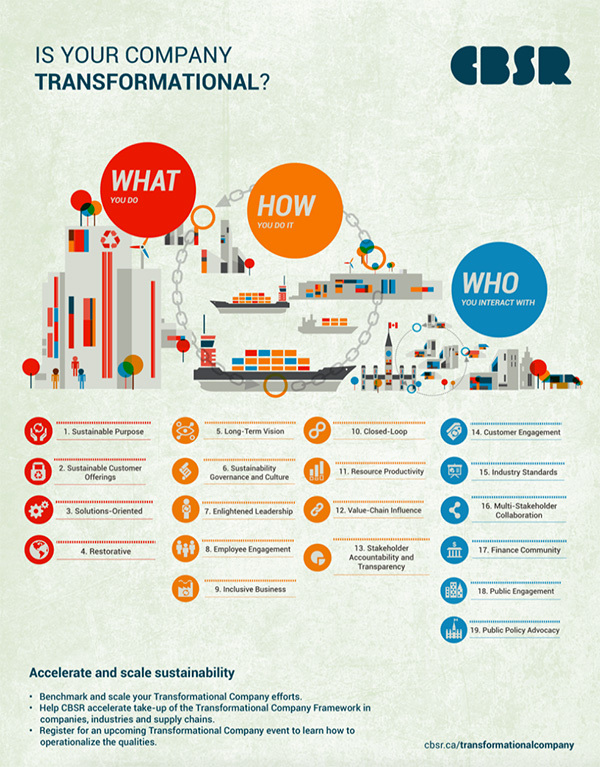 Transformational companies commit to act beyond their own operations, and the foreseeable future, to become world-class sustainability leaders in their region and sector. This guide shows the way.